Heavy rains likely in all regions of Goa and South Konkan on Friday 29th...Goa and Ratnagiri will get heavy rains amounting to around 60-80 mms . Mumbai will get periods of frequent heavy showers ( 30-45 mms) on Friday. Pune: Partly cloudy with light rains in parts of Pune. Around 3-5 mms expected. Mumbai Lakes also filling up well,...Storage today 901 Mcum, i.e. about 62% filled. Mumbai has water stock of about 320 days, or upto 20th June 2017. 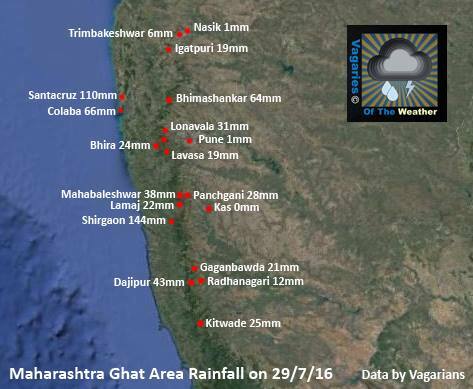 Major lakes need 1 day of over 100 mms rain, and we will have 365 days stock of water....Credit Vagarian Jayesh Mehta. 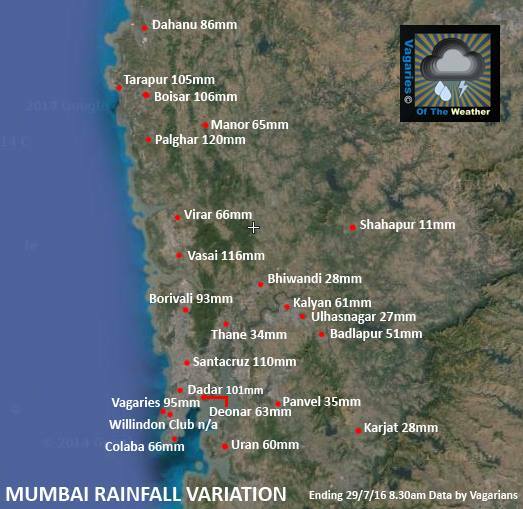 Rajesh sir,whats your forecast for mumbai and konkan rains during the first week of august.Will the rain be patchy like the situation of today or they would be in increased intensity ? 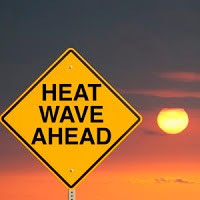 abizer: I will put up weekend forecast and weather situation tomorrow (Friday)...I dont give long or medium range forecast in blog. But next 8 days will see rains continuing along Konkan almost at current strength... details later. Will be observing the monsoon axis this week. Pounding rains entire night over Navi Mumbai. Very heavy rains in bangalore over night. Some places crossing 100 mm. Its 7 am and still raining. This week was one of the wettest I have seen in bangalore. Heavy downpour throughout overnight borivali. One of very few days where mumbai felt chilly cool rainy weather. Situation bad in south bangalore....madivala lake is full and water overflowing and submerging low lying areas in bommanahalli. Other lakes like begur and hulimavu close to breaching as well. Never seen something like this. Best to stay inside home. Will ghat and interior can pick up in near time? Heavy rain started again in Mumbai. Sir, please forecast for Valsad also.